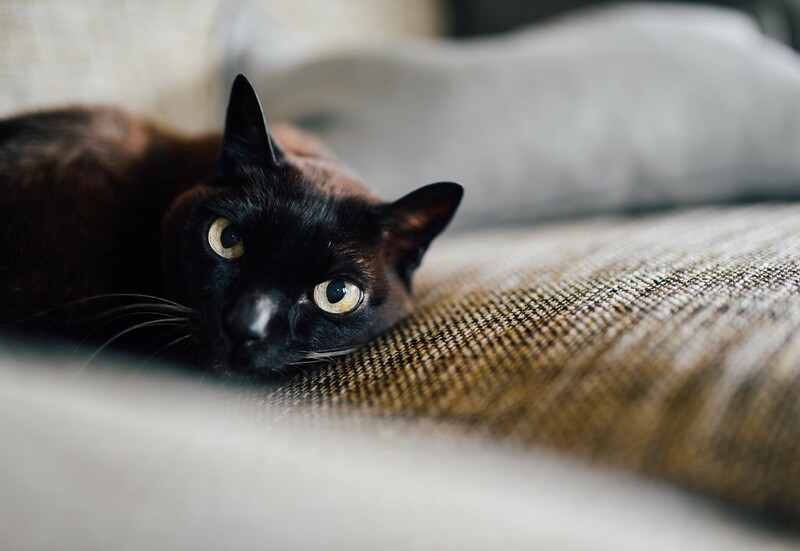 In 2017 so far, Cats Protection welfare charity revealed that their black cat residents have taken 13% longer to be rehomed than cats of any other colour. Shocking, right! Typically associated with bad-luck, witches and Halloween, it’s well known that dark-haired kitties have a long (and unfair) myth-filled history. There are as many as 22 recognised breeds that can have solid black colouring but the only all-black feline is the Bombay cat. 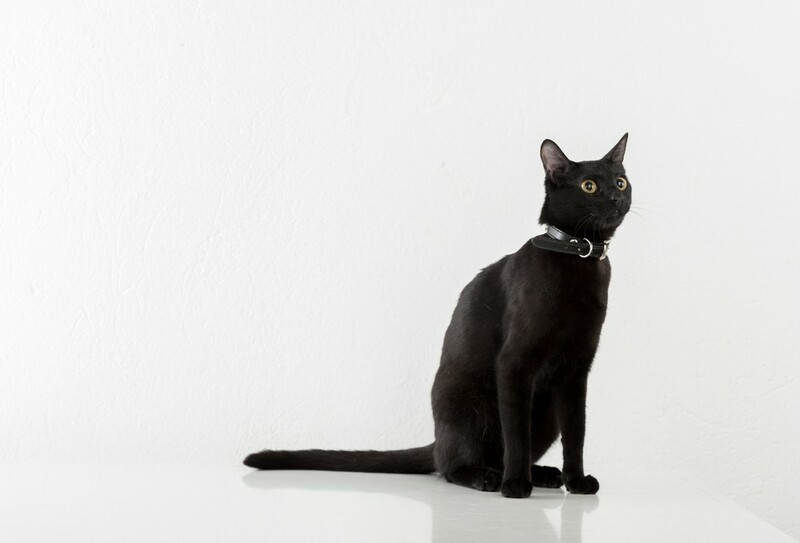 The breed was developed in the 1950s by crossing Sable Burmeses with black American Shorthairs with the aim to create a cat that resembled a miniature black panther. Well if you can have a lion in your living, why not a panther! 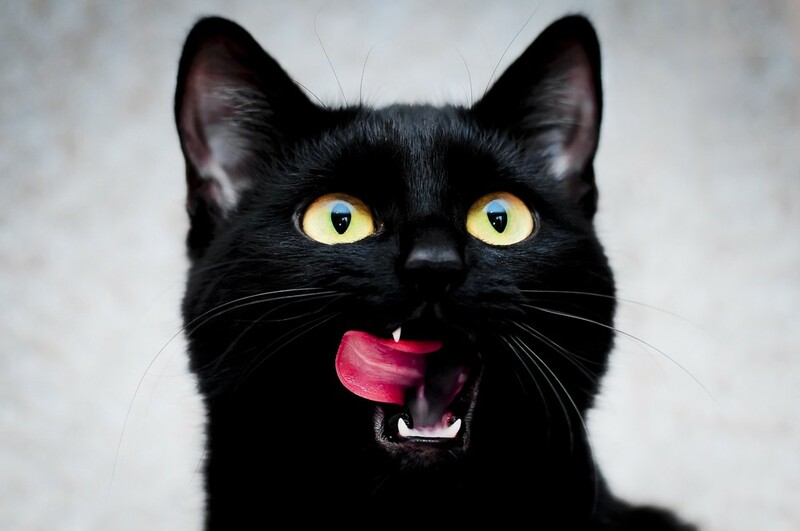 Cats were often cared for and fed by poor, lonely ladies who were accused of witchery and as a result, got a bad rep.
Black cats were considered especially desirable partners for witches because of their ability to remain unseen in dark places and as witch hunts grew in popularity, many superstitions about uniformly black felines started to develop. Thankfully witchcraft is now something we worry about less, so those beautiful black kitties can rest easy. If your black cat has an underlying tabby gene, you may see faint orange stripes appear on them after they’ve spent the afternoon basking in the sun. Why? The sun’s rays break down the pigment in their fur and reveals their dormant tabby colouring. Think of it as the feline version of a suntan. Due to their genetic makeup, true onyx-hued cats produce a lot of melanin. This pigment makes their coats black and their eyes a captivating amber shade, an extremely rare eye colour in humans. In Ancient Egypt, all cats, including black cats, were considered sacred and worshipped. The goddess Bastet, a deity often depicted as a woman with the head of a black cat, was strongly associated with domestic cats. Historically, sailors and fishermen believed that having a black cat onboard would bring the ship good luck and guarantee a safe journey (with the added benefit of fewer rats). Fishermen’s wives would also keep black cats at home believing that they would ensure their husbands returned home safely from sea. A far better onboard companion than a noisy parrot, don’t you think? 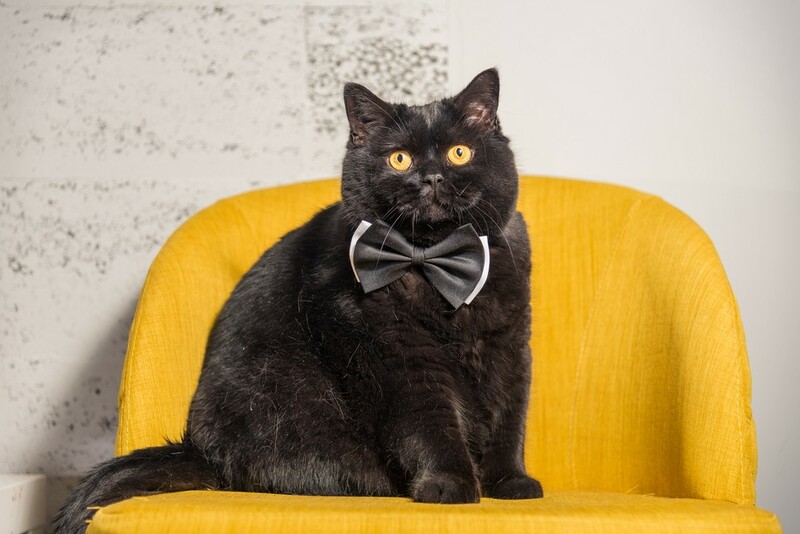 Lab goggles at the ready: researchers at the National Institute of Health discovered that the genetic mutation that causes a cat’s fur to be black also protects them from certain diseases. Because cats experience many of the same health issues humans do — Cancer and Alzheimer’s to name a few — experts believe studying these fascinating felines could possibly help mankind combat these illnesses. Impressive — a coat that not only looks good but helps black cats (and potentially us) feel good too! Lucky Tommaso made the Guinness Book of World Records after his owner, Maria Assunta, bequeathed 10 million euros to her furry friend. This abandoned black kitty was a stray living on the streets of rome before he was rescued by his adoring owner. Heavyweight Hollywood directors learnt early on that most films could easily be improved by the presence of a cat. Scene stealing feline costars include Salem the sassy feline star of Sabrina the Teenage Witch, the transfigured Binx from Disney’s Hocus Pocus and the homeless kitty who stole the show in Breakfast at Tiffany’s, Cat. But the first ever kitty starlet was Pepper who — it’s said — was a Maltese cat born under the floor of Keystone Studios in 1912. She crawled up through the floorboards in the middle of a scene and into film history! 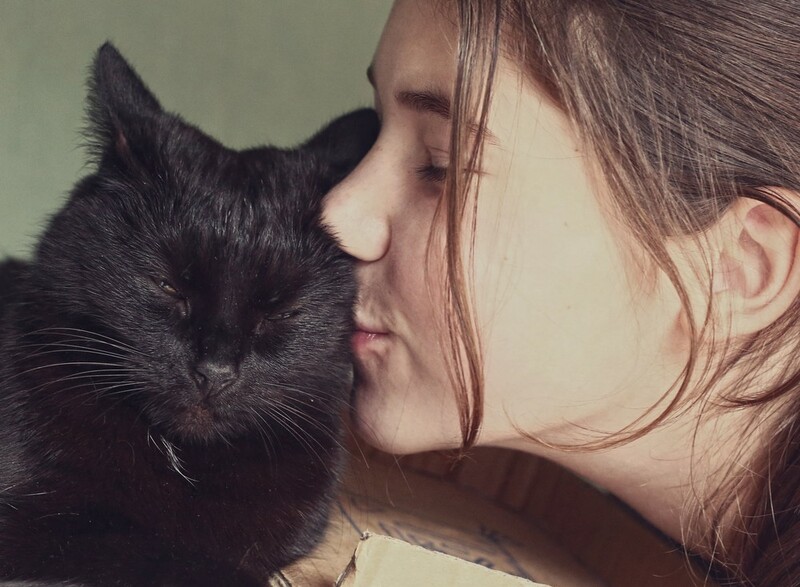 Despite the popularity of cultural stereotypes involving single women and cats (crazy cat lady comes to mind), in certain parts of the world it’s actually believed that owning a black cat can improve your love life and attract potential suitors. Just make sure you remove all of the black fur from your clothing before actually going on the date!